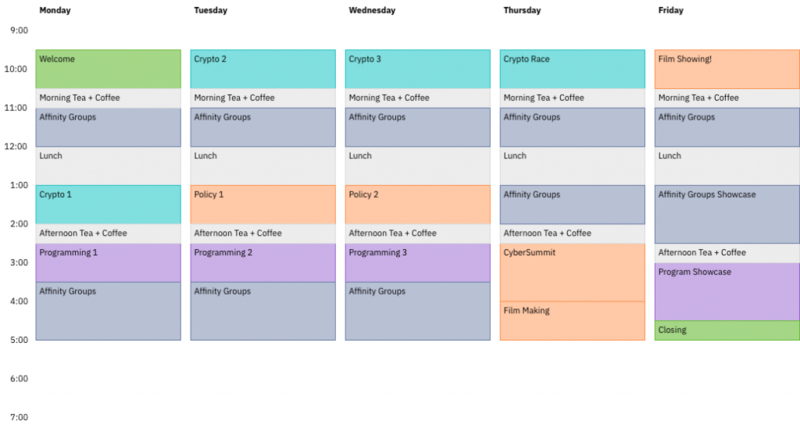 Tentative CyberPDX 2019 Schedule: Monday-Friday, July 8-12, 2019. Details to be finalized at May workshop. Each day includes instruction in the three core threads: cryptography, computer programming, and cyberpolicy, as well as dedicated time for teachers to collaborate in affinity groups based on subject area or grade level. In affinity groups you will have the opportunity to build relationships with your fellow teachers across grades and subjects, map out how cyber curriculum can align with district/state standards, participate in a literature circle using a topical book, plus develop and pilot custom lesson plans.